This could also be made for any occasion and time of year. Just change out the decorative prints. Just click on my banner on the right hand side and you will be taken to my site to order all products. Thanks so much. Questions just let me know. Have fun and have a blessed and Merry Christmas. I will be back after Christmas. 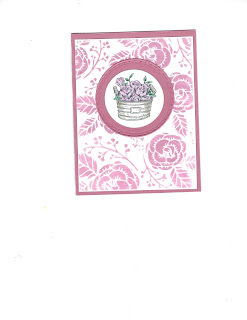 I received this card from Terri Ives who was my swap partner for Dec. The inside says "Happy New Year"! I love the colors she used on this one. Here are the two cards that are in this video. They are easy and quick to make. 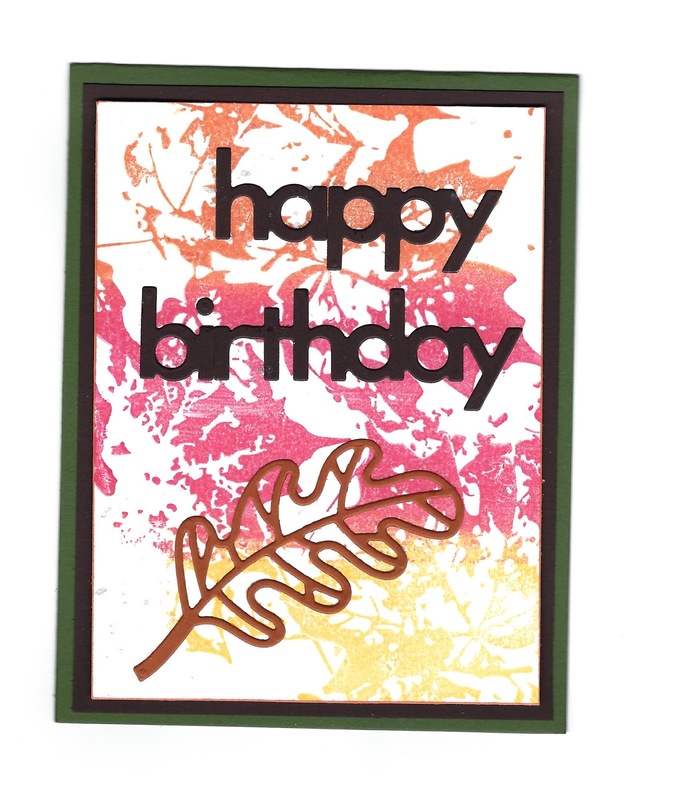 You could use what ever colors you want to with this leaf stamp. Love the birthday die as you can have these cut out a head of time to make any birthday card. Stamps used "playful leaves SS-0234" and "inside out SS-0576". 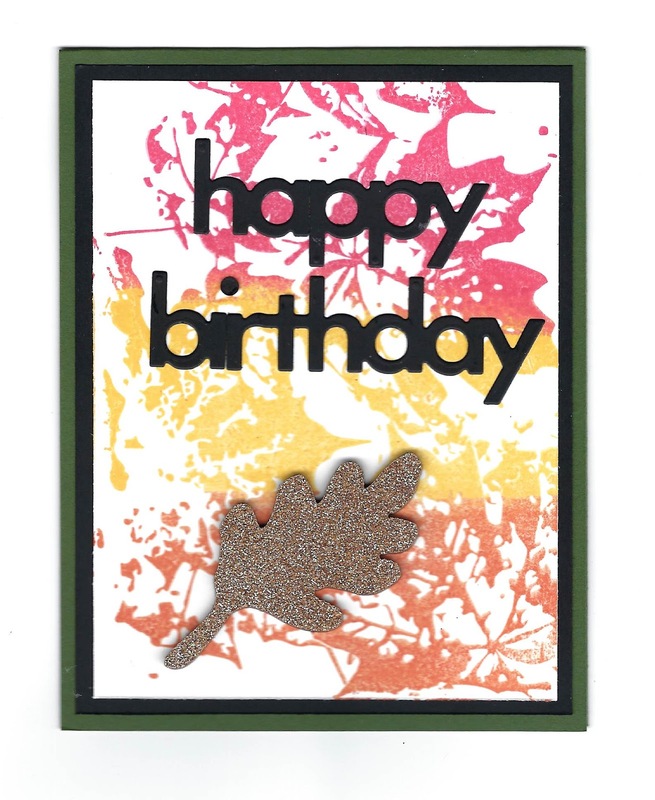 Dies used "birthday word DI-0422" and "Pretty Leaves DI-0500". Inks used candy apple IP-0017, summer days IP-0042, and tangerine fusion IP-0005. Enjoy and if you have an questions just email me at serif1@aol.com. What colors would you use to make this card? 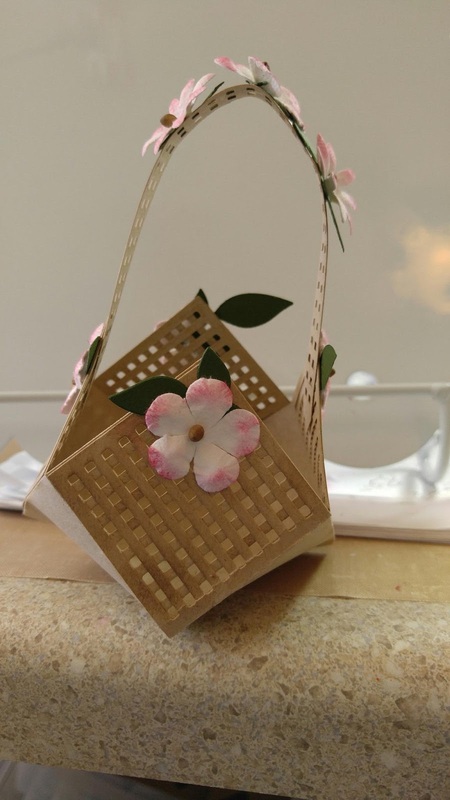 This luminary I did for a class. It is a lot of fun and really not hard to make. Once you make one you will want to make more. I'm working now on one that is not this tall and is square. I will post it in Nov. Enjoy and let me know what you think. What would you like to see me do videos on in the next few weeks? I'm posting early and will post another one later this week. I need to get the ones online that we recorded early as I need to make the changes for Nov. 1. This is my new link I'm trying out to see if it works for me. 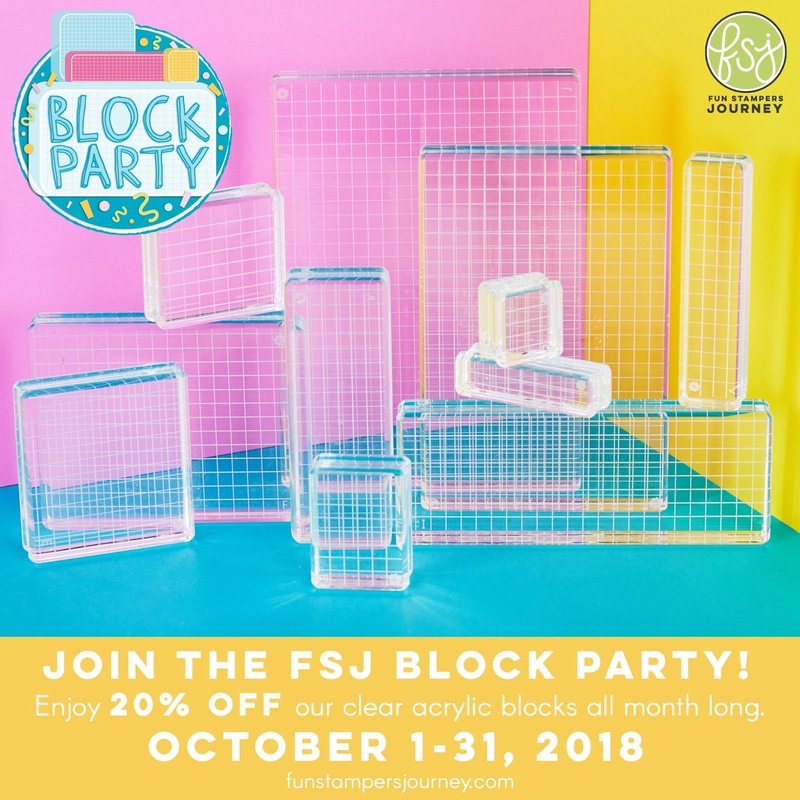 This is the link you will need when FSJ and Spellbinders merge. You know me I don't know much about all of this technology so here goes. 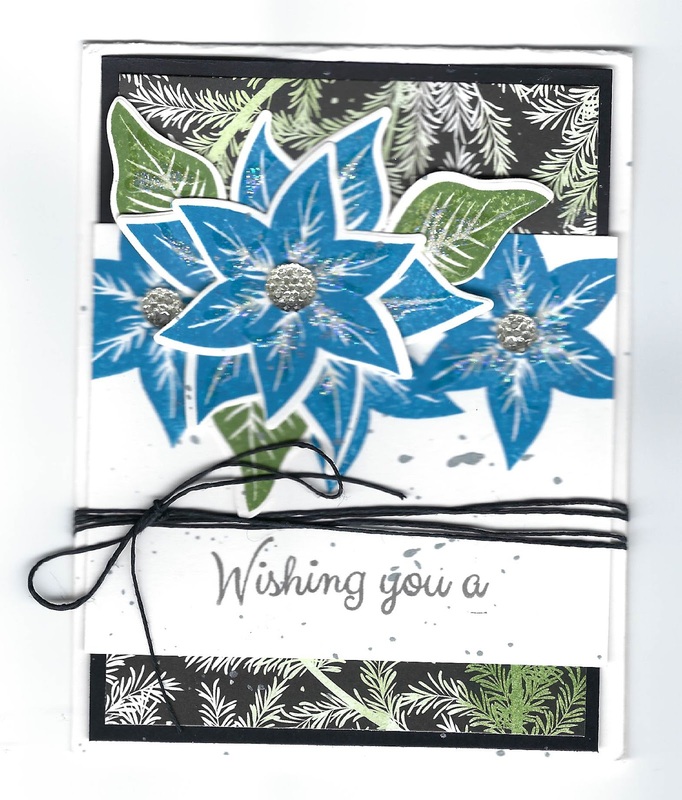 This card is made using our Build-A-Wreath stamp set along with Inside Outside one. 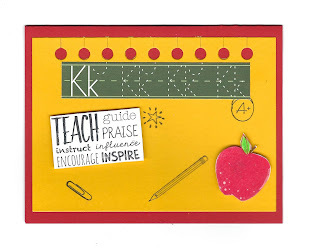 These is just so much you can do with these two stamp sets that I have had a lot of fun the last few weeks using them in classes as well as in my videos. I do hope you enjoy! If you have questions just let me know. 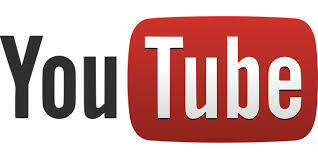 All of the products that I used in today's video may found on my web site. Have a blessed day. 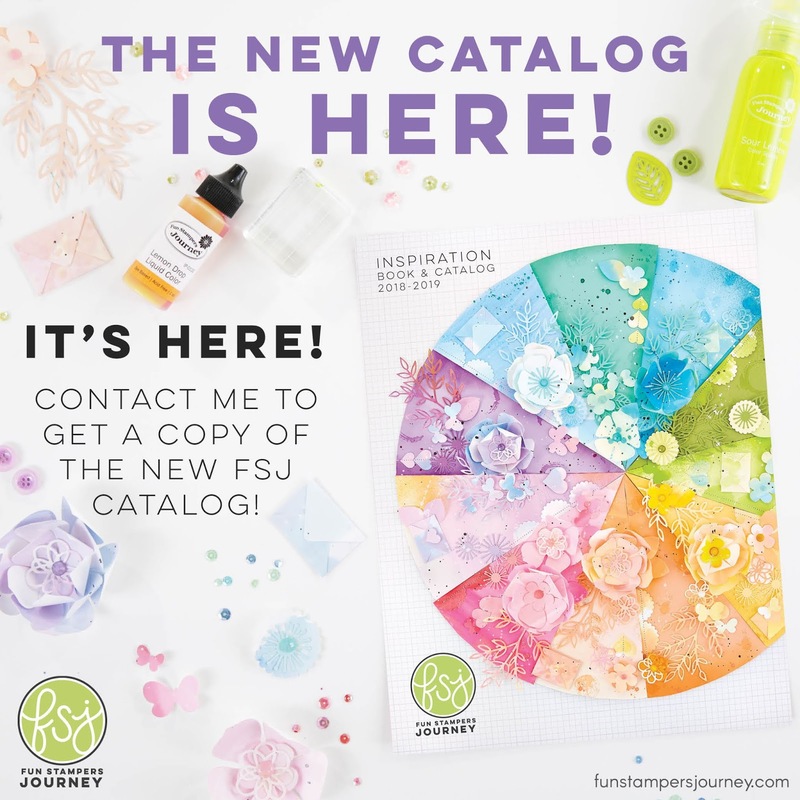 Want to give you all a heads up that FSJ is making changes come November 1, 2018 as they are now merging with Spellbinders. I will now be an affiliate with both companies and will be able to sell what they carry. I am now looking into what else I can sell and will let you know as I become more familiar with all of the changes. Have a great and blessed day. This is another Spellbinders die that com Nov. I will be selling. This is one that I will be selling sometime in November. This card is one that can be mass produced. It is very easy and really takes only a few minutes. I wanted to show the card seperate however the mirrrored gold looks black so decided against it. Enjoy! Have a great and blessed day. Just stopping by to show you an easy way to give a gift card and a little extra treat some of your favorite candy. It is almost time to start thinking about Christmas gift giving and one of the items we use for our family seeing they are not close to us at this time of year are gift cards. I try to give them in different ways so this year I am using my papercrafting items to make them all a little different and in different shapes. This one today is easy to make and will stay closed by pinching it at the top. You could also add a band at the top and decorate it. I do hope you enjoy and if you have any questions just email me at serif1@aol.com. Have a blessed day. A fun treat holder to make for any occasion. 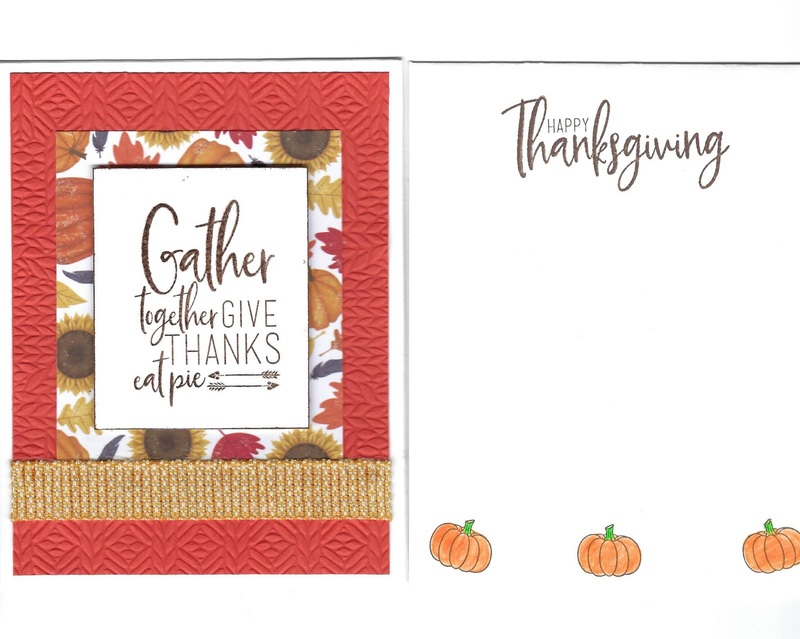 They are cute for a Thanksgiving or Christmas table place card with a treat inside. Kids would love them as would the adults. Enjoy! This technique may look hard but really it isn't in fact it is easy. Just try it once and you will see what I mean. I love using the Pan Pastels and with these it looks fabulous. 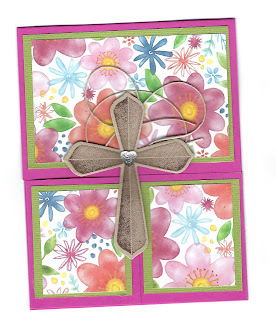 All products I used in this video can be found on my web site at www.funstampersjourney.com/angelhugs. If you have questions just let me know. If you have questions just email me and I will get with you. Have a great and blessed day. 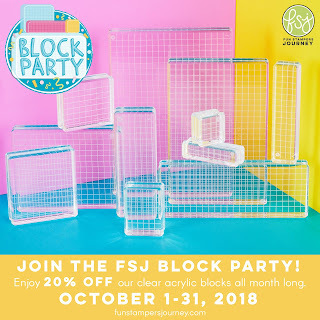 I just want to let you all know that there are changes coming to FSJ. They are no longer going to be a direct sales company but a hybrid retail company. This of course means changes but for now I have decided to stay with them and see how the new plan works out. 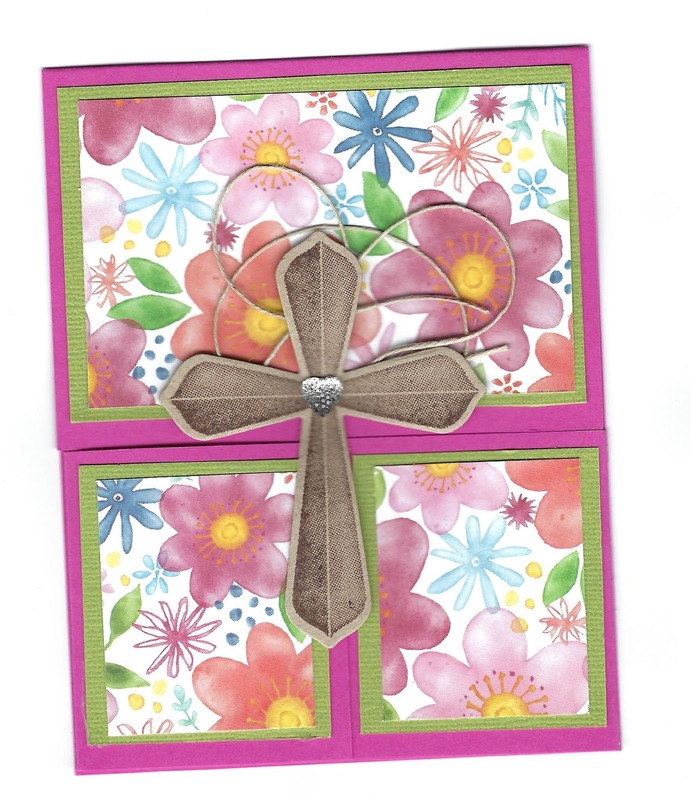 They have merged with Spellbinders so now we may sell both FSJ and Spellbinders. So I will do classes, post videos, and have a web site for my customers to buy from me. The changes will take effect on Nov 1. If you have questions please email me and let me know so I can answer them for you. I did post a video today as I have been busy with FSJ. I will post one tomorrow and then start again next Tuesday. Have a great and blessed week-end. Hi All, Hope you are having a great day! This is one that shows you how to turn a holiday card into a birthday card. I would love for you to tell me what you would like to see me do a video on in the next few weeks. Just tell me in the comment section. When I do yours I will email you a PDF of the instructions. Enjoy! Crush on Color Week Three! 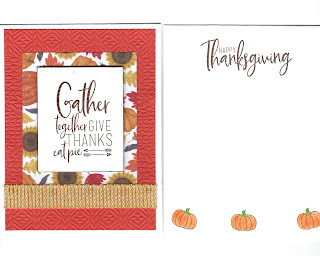 It is that time of year and fall is just around the corner so today this card will help get you ready for that season. 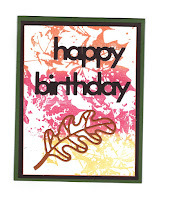 This card could also be used for birthdays or thinking of you. It is easy to do and a lot of fun. All products maybe found on my web site at www.funstampersjourney.com/angelhugs. If you have questions please just email me at serif1@aol.com and I will get with you to answer your questions or leave your questions here in comments and I will get with you. Have a great and blessed day. Enjoy! Crush on Color Week Two! Here is the latest video on one of our DIY Hoops. This hoop is the largest in the set of three and I made the card 12 X 6 scoring the 12 at 6 inches. This makes a square card but you could also make a small one using this hoop. I did use our new circle die called circle around die set DI-0466 and it may be found on my web site at www.funstampersjourney.com/angelhugs. 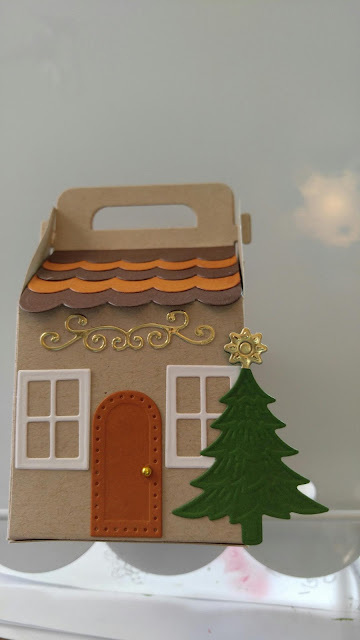 Next week I will do one using the medium die for a Christmas ornament. 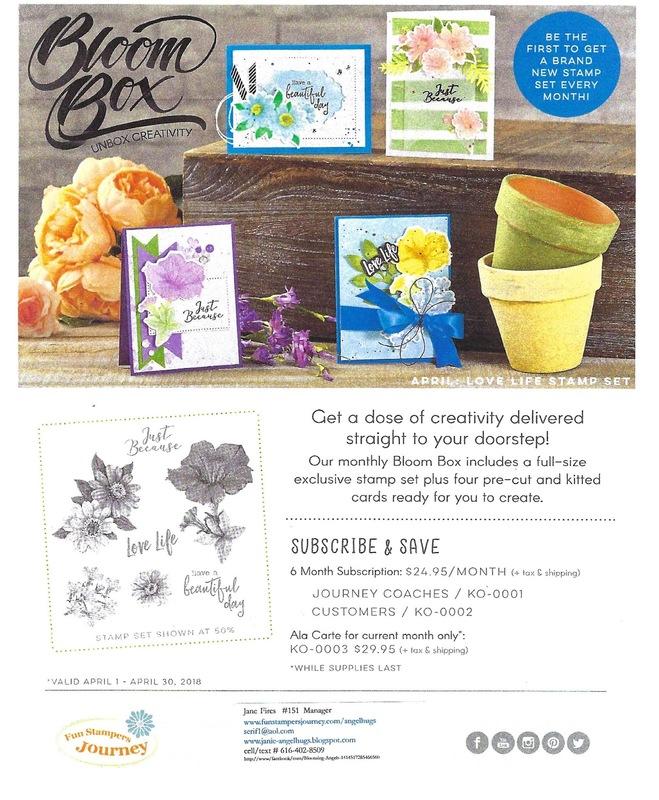 Please let me know what else you would like to see videos on from either our big 2018-2019 catalog or the Holiday mini one and both maybe found on my web site. Have a great and blessed day. Today's video uses our smallest DIY hoop which comes in a set of 3 and there are 2 of each size. I will be doing videos for all 3 so just check back later. All of the products used maybe found on my web site. 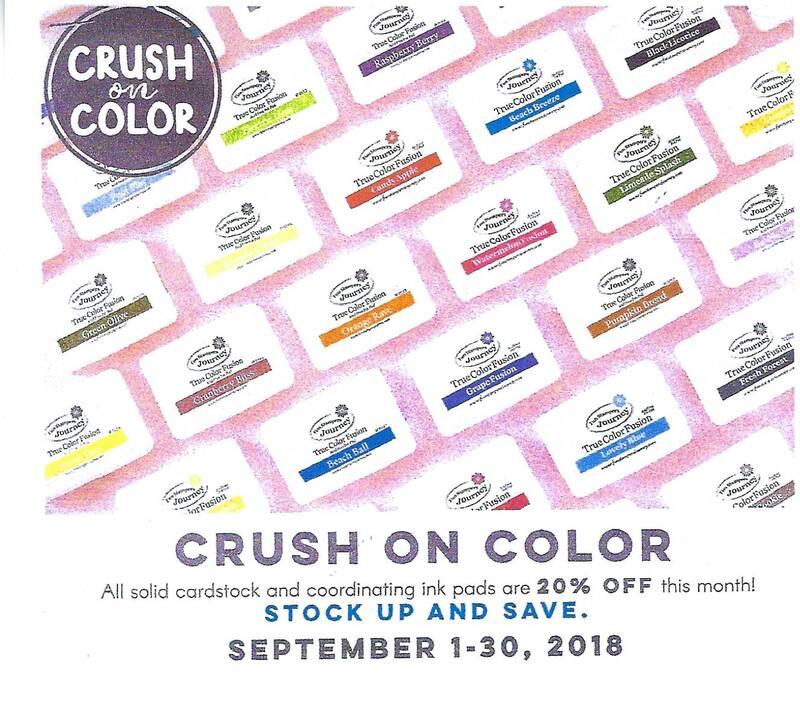 This entire month we are putting on sale all of our ink pads and cardstock in both sizes. It is a really great deal. Then each week also there will be a different set of accessories bundled together and put on sale. 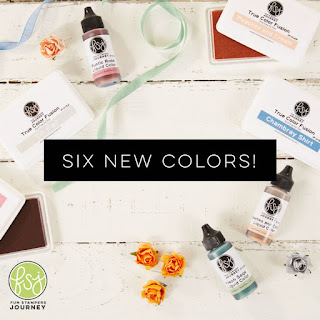 This week the two bundles go with our Good Life colors and Mother Nature colors. You may find out more by visiting my web site at www.funstampersjourney.com/angelhugs. Any questions just let me know. What would you like to see me do videos on here? Have a great and blessed day. 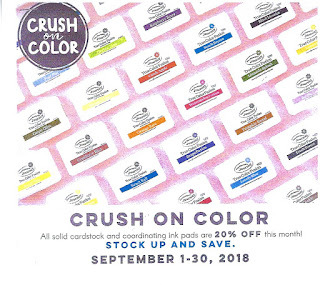 FSJ September Sale - "Crush on Color"
The whole month of September is our "Crush on Color" sale. This means that all 8 1/2 x 11, 12 X 12 and ink pads are on sale. This is a fantastic deal and one that you will not want to miss. Our inks are true color fusion which means a combination of both pigment and dye ink. 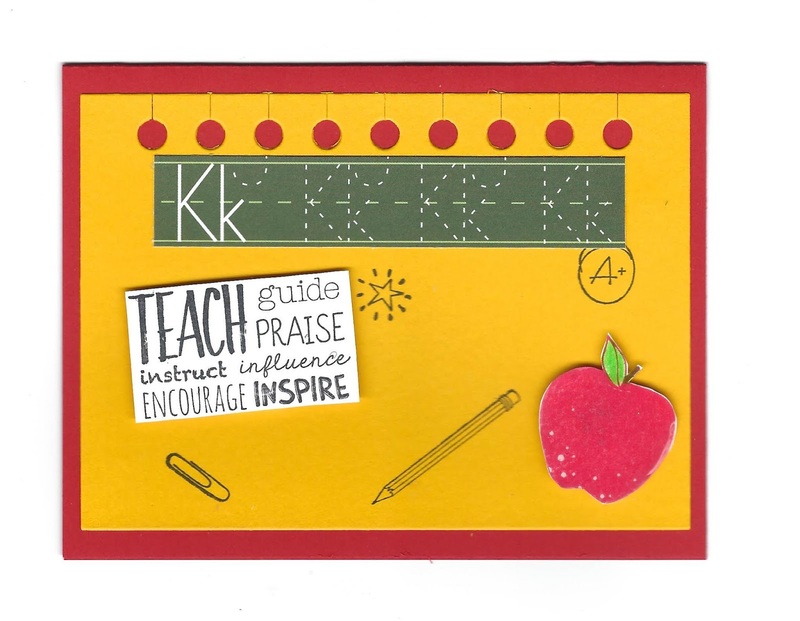 They match all of our cardstock and papers as well. This year we have 6 new colors so now have a total of 56 colors in our collection. Hello everyone, here is the card that I just uploaded a video for and wrote a description under it. If you have questions just let me know. Have a great and blessed day. If you have any questions just email me and I will get back with you. Are you interested in saving money and making some extra cash? Then you will want to join my team and you can both besides I will help you achieve things. Questions just let me know. Have a blessed day. Enjoy! 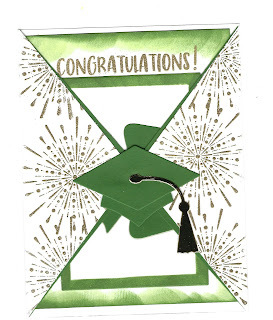 Here is my graduation card. The top picture is the outside part and the bottom one is with the slider part in it. 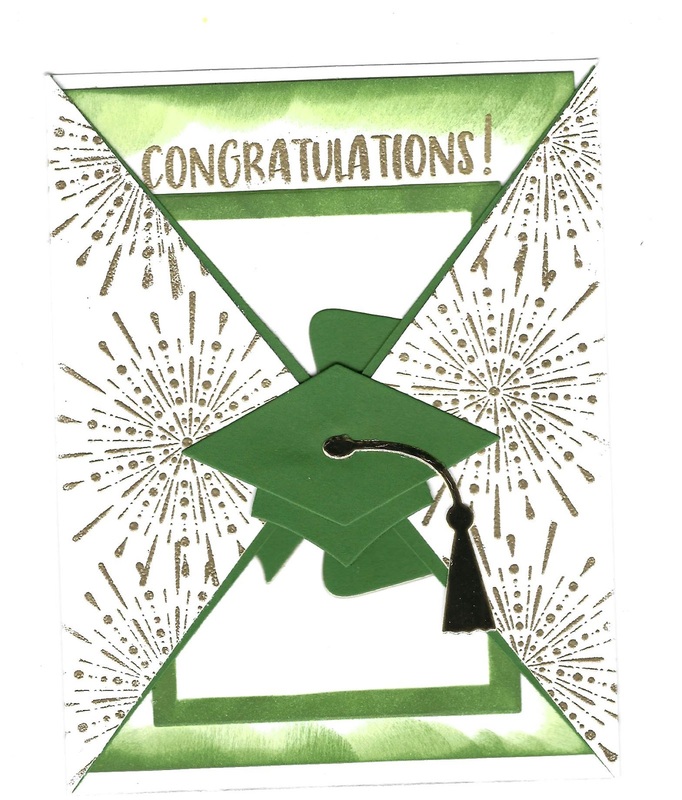 I made the outside with the points together and then added the 3d graduation cap to hold it together. 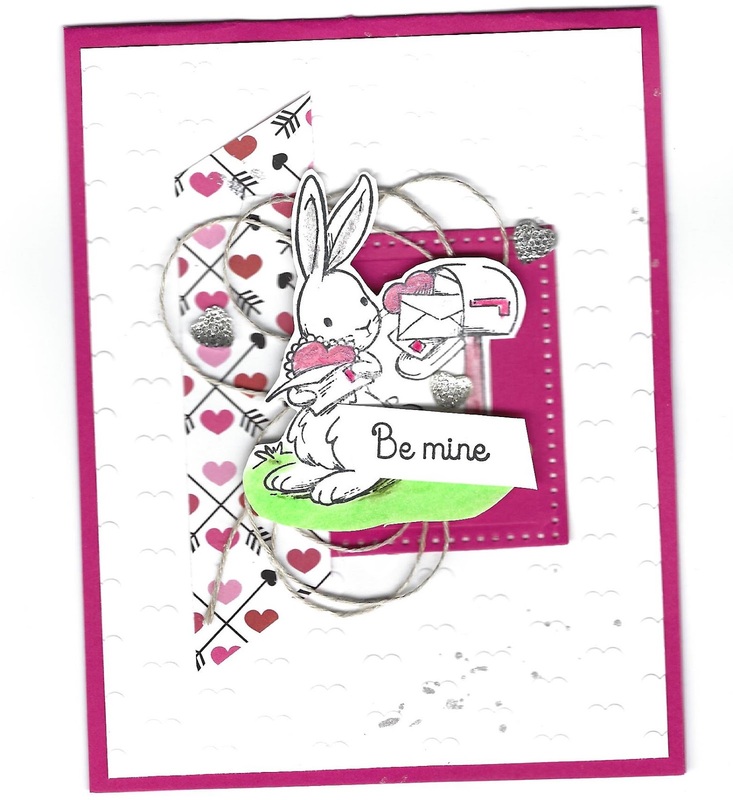 Then made the slider part using our gift slider die set DI-0384. I will put either a gift card or check in it before sending. I will write a note on the back of the slider. 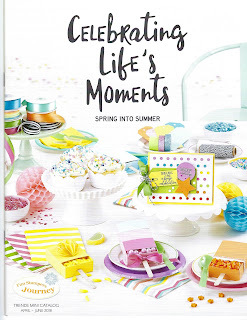 I used our new stamp set out of the Celebrating Life's Moments mini catalog. 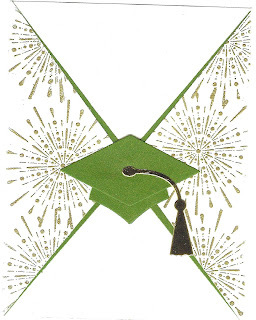 It is Bravo Grad SS-0571 and the Hats Off Die DI-0441. This one could be used using any colors you wanted to use. 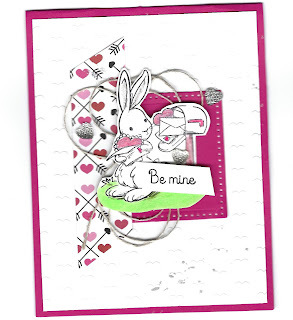 I also used Clear Pigment Ink IP-0102 and Gold Embossing Powder IP-0101. 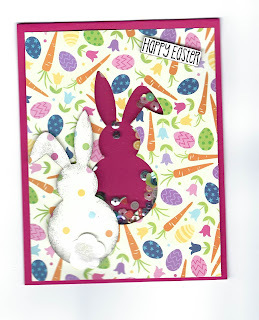 This is a very easy card to make. Thanks Janice for your idea on the fold. Enjoy. Hugs to all! A very easy way to make a bow for paper crafting. It is our very own Lynn showing us how to do it. I love this way so do please try it and if you have questions please let me know. Have a blessed day. 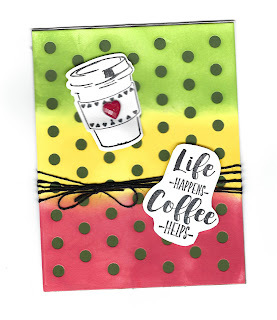 Here is a card I made using the new Coffee Helps stamp and die set and Lots of Dots die set. I'm having a lot of fun playing with these new items. 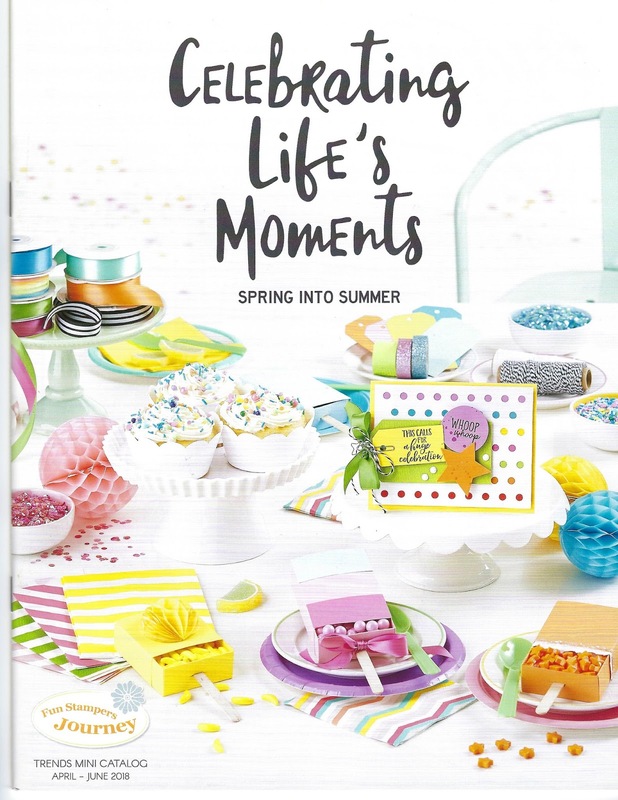 They may be found in our new Celebrating Life's Moments mini catalog running through June. If you have questions just email me and I will get back with you. 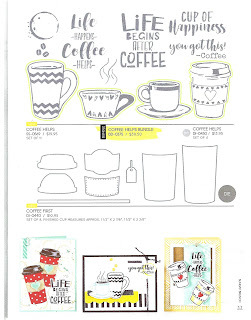 The Coffee Helps stamp set is SS-0569, die set is DI-0430, and bundle is BD-0375 the bundle gives you both the stamp and the die sets. I also used our liquid colors on this card and they are Lemon Drop IP-0132, Rich Coral IP-0137, and Limeade Splash IP-0133. Enjoy and have a great day. Please look at our new mini on my web site and let me know what you like and want to see done up here on my blog. 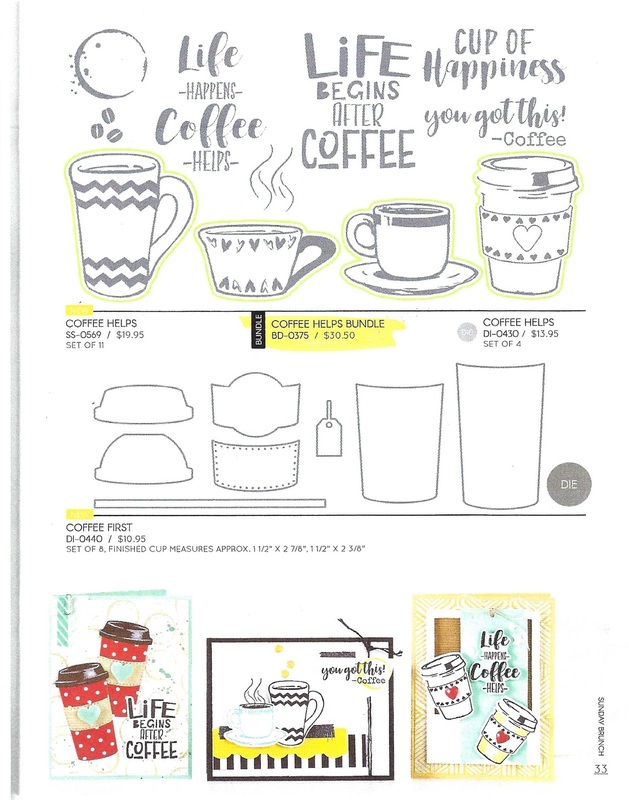 Here is one of the new stamp sets in our new mini Celebrating Life's Moments and as you can see I like my coffee so choice to show you this page today. 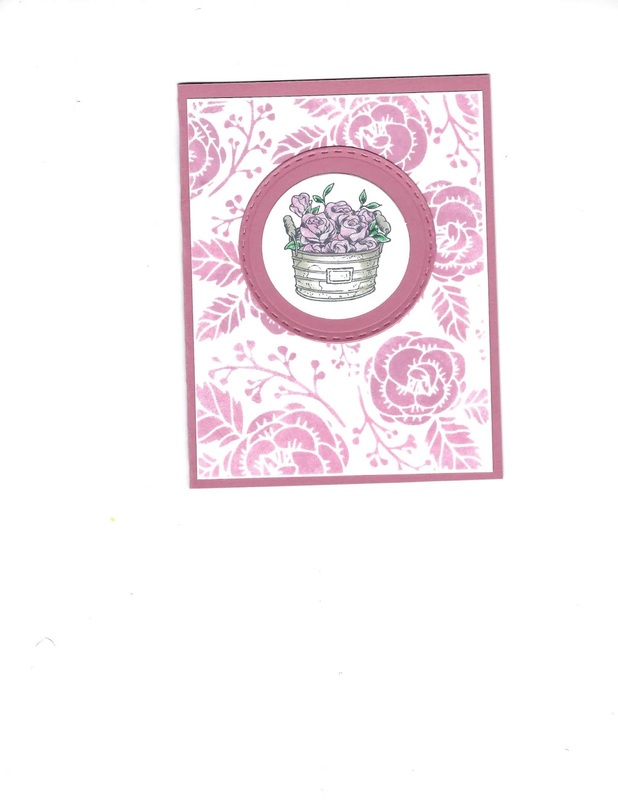 It will make great cards, pictures for recipe books and scrapbook pages. 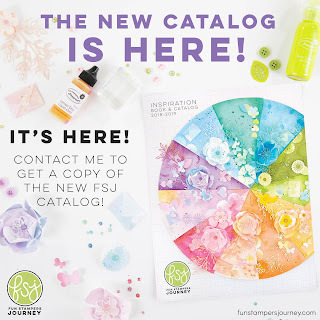 All this week FSJ is having a launch party showing all different things that are found in the new catalog. 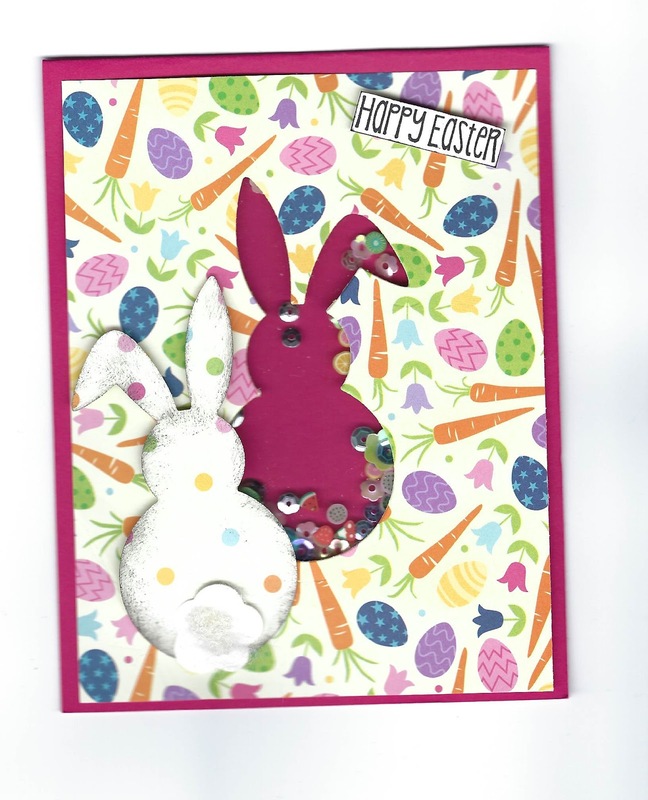 You may find it on Facebook with Fun Stampers Journey. This may be found on my web site at www.funstampersjourney.com/angelhugs. If you have questions you may email me anytime. Have a great day. This is our new mini catalog and it just went live yesterday. There are a lot of neat stamps and dies in this one. There are several that will be great for making a recipe book and in the coming days I will show you some of them. 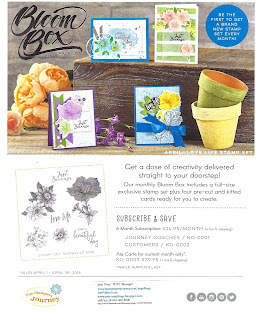 You may go to my web site to see this catalog and to fun stampers journey facebook page to see it as well. 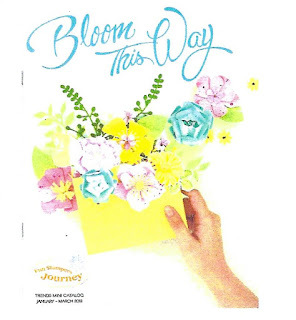 I have posted some things on my Facebook business page which is Janie's-Blooming-Angels. If you have any questions just let me know. Have a great day. The base card is 8 1/2 X 4 1/4 scored at 3 inches, the bottom door is 8 1/2 x 2 1/2 scored at 2 1/8 and 6 3/8 inches. Lemon Grass is 4 x 2 3/4, the two smaller ones are 2 1/4 x 1 7/8, Oatmeal Cookies is big enough to stamp the cross onto. Whip Cream for inside is 4 x 5 1/4 and the Spring Filled Prints Paper are 2 1/2 x 3 3/4 and two at 1 5/8 x 2 for the small doors. If you have any questions please let me know. Email me at serif1@aol.com Enjoy and have a blessed day. 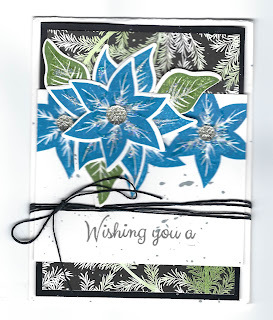 These are the "Bloom Burst" samples that my card class could choice from Saturday. 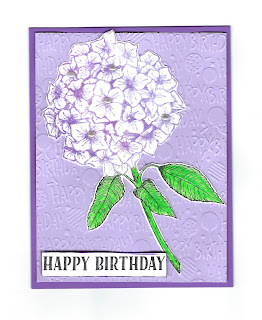 The one thinking of you they stamped the background using the create-a-palette of purples that I had made and the stamp set bloom burst SS-0431. 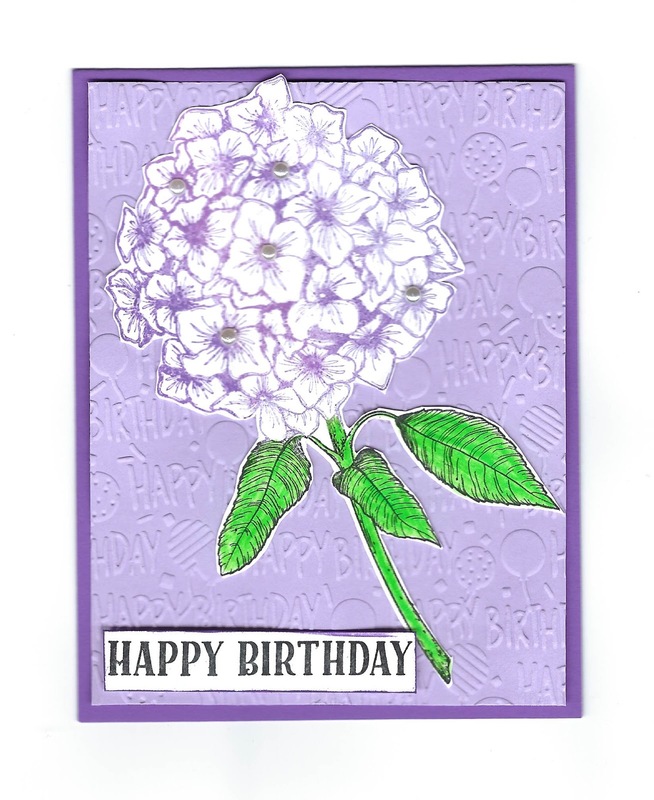 The happy birthday one they could emboss their background using the happy birthday embossing folder birthday bash EF-0027 and the same stamp for flower bloom burst and then for the words we used Dude Ranch SS-0477. 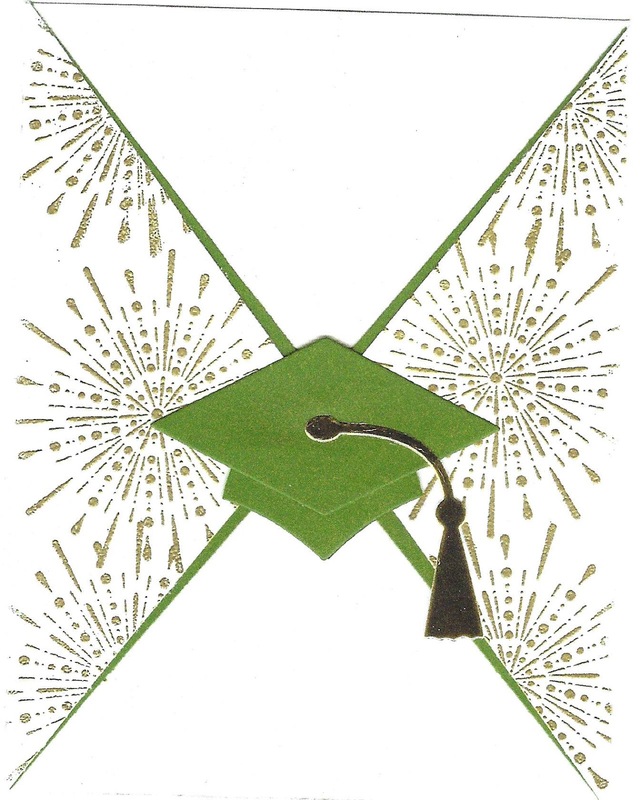 We also used the green color pencils from the color burst set. The purples that I used for my palette are Pretty Pansy RI-0036, Grape Fusion RI-033, Lavender Fusion RI-0019, Grape Fusion again and Pretty Pansy again. Added bling by using pearls and button to give it a little zip. I will do a video later this week and post it on You Tube. Any questions just let me know and I will get with you.You may email me at serif1@aol.com. Have a blessed day.